Grades(IS): Cl FG-260, Cl FG-300. The different types of air cooled cylinder barrels available with us are made using high quality raw materials by "shell moulding process". 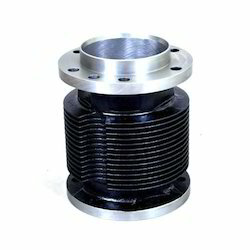 These products are durable in quality and are wear resisting close grained iron casting. These products have long life and efficient cooling. "We deals in only Foreign Bulk Order Quantity." We are the leading manufacturer of Air Cooled Cylinder Barrel. By Weight: Up to 120 KG single piece in machine. Our company is widely appreciated for providing Air Cooled Cylinder Barrel to the clients. This product is offered in various shapes and sizes to meet the various requirements from clients. This product is made with the finest quality raw material and advance technology hence is mightier and superior in strength. 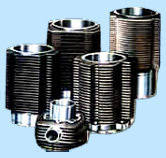 Air cooled cylinder barrels made from special "shell molding process" causes wear resisting close grained iron casting and this ensures long life and efficient cooling.